The week of January 17th & 18th the playroom children celebrated Winnie The Pooh’s Birthday! Every kid is in love with this cuddly stuffed with Fluff bear and why not throw him a spectacular celebration. Great excuse to decorate with balloons and streamers and eat some cake YUM! 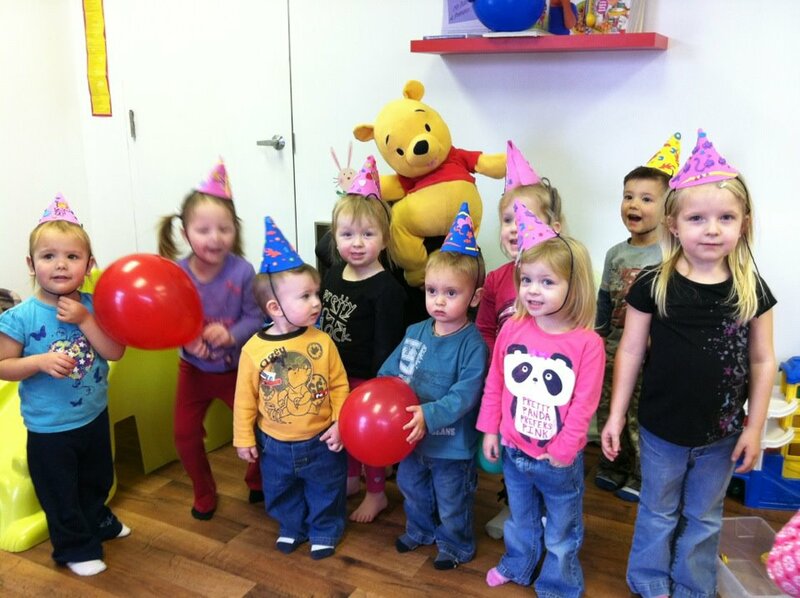 The kids decorated their own party hats and brought along their very own Pooh Bear or cuddly bear to celebrate!